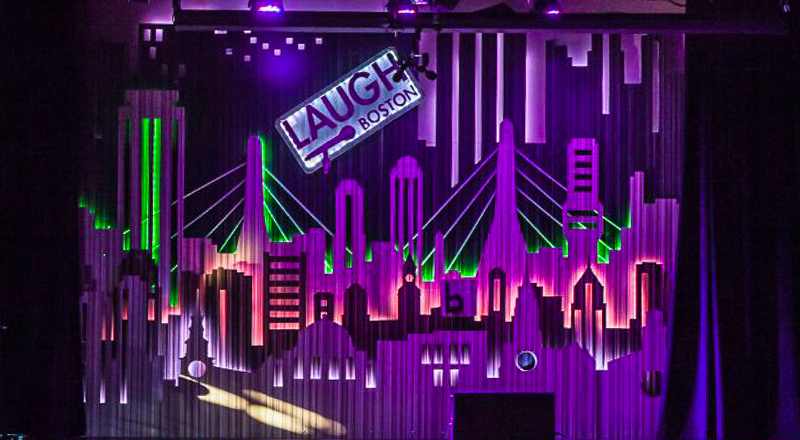 Looking for interesting things to do in Boston in January? 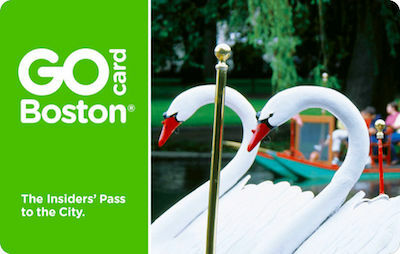 Boston hotels offer their cheapest rates this month, and the city is full of fun activities and events. 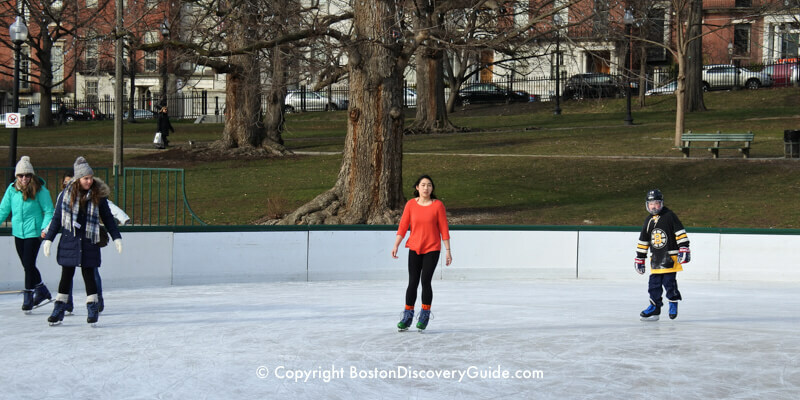 Outdoors, winter sports hold center stage at TD Garden, Fenway Park, local ice rinks, and ski slopes. Indoors, Boston cultural venues, restaurants, and nightlife provide lots to do. In Boston's Theatre District, the theater season is in full swing. Two big wine events add extra warmth. And Boston sports fans get to cheer the Celtics, Bruins, and the Patriots (assuming the Pats proceed to the playoffs). January always feels like the coldest and snowiest month of the year in Boston. And often, it is. But the sky is luminous, even when cloudy, and as the month goes by, you may even notice the days getting a tiny bit longer. 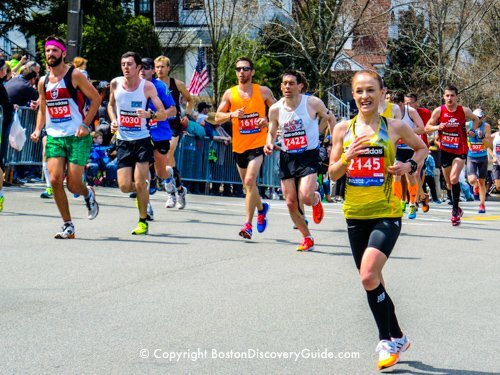 If you're planning what to do in Boston in January, here are some fun activities to consider. Be sure to also check the Boston Event Calendar for January. 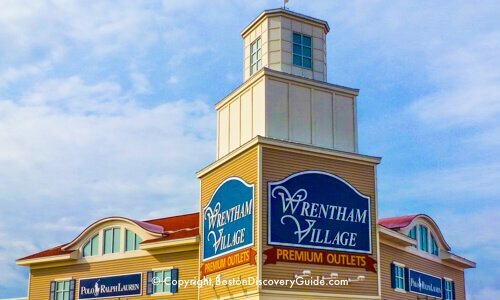 Several excellent downhill and cross country ski areas are located near Boston, less than an hour outside of the city - perfect for a day or even a weekend. Snowboarding and tubing are also available at some of them. Just a little farther away in the Berkshires, you will find even more possibilities, including luxury ski resorts for romantic weekend getaways. True, you will not imagine you are in the Alps - but these ski slopes near Boston offer you convenient places to learn, plenty of fun, and an easy opportunity to get out and enjoy January. If you have slightly more time and want greater challenges, head to steeper slopes at ski areas and resorts (some of which are quite fancy) in New Hampshire, Maine, and Vermont. 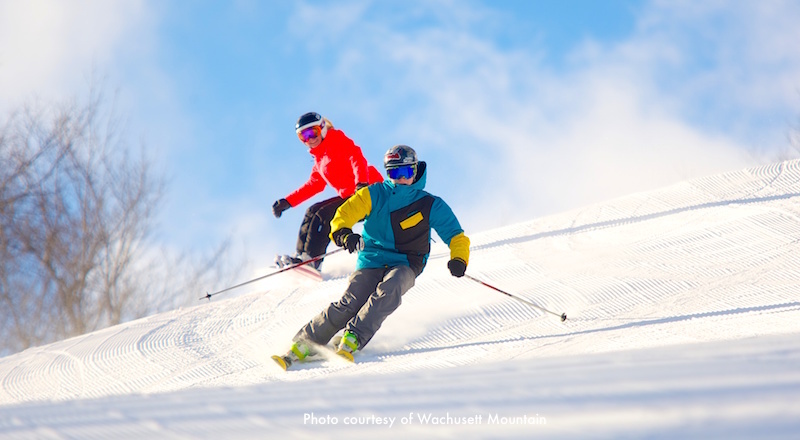 Find out more in our complete guide to New England ski areas and resorts. Prefer to enjoy winter sports inside? TD Garden, conveniently located adjacent to North Station, provides an almost non-stop schedule of Boston Bruins hockey games and Boston Celtics basketball games during January. You can easily get to TD Garden on the T (Boston's subway) - just take the Green or Orange Line to North Station, and enter directly from the station. 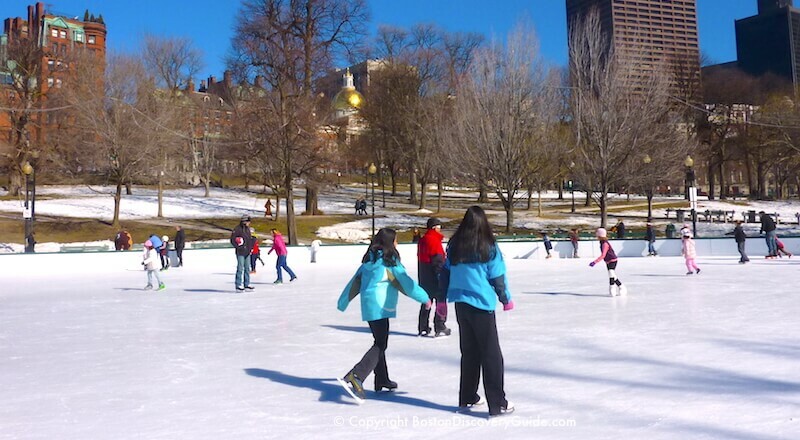 Go ice skating on Frog Pond in Boston Common, or cross Charles Street to the Public Garden and "skate" across the frozen Lagoon - no actual skates required! Don't let nippy January weather keep you from touring the city! 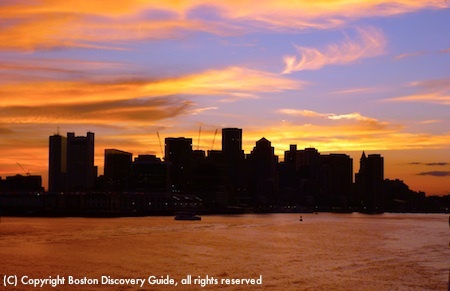 You may be surprised by the interesting tours you can take even when the weather doesn't cooperate - luxurious dinner cruises on Boston Harbor (that's where the gorgeous winter sunset view in the above photo of Boston's skyline was taken), walking tours, even museum tours . . . plus lots more! 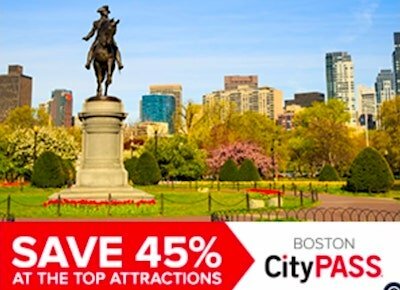 Or, go on a self-guided tour along the historic Freedom Trail. Set your own pace, and if the temperature feels frosty, pop into one of Boston's many bistros and pubs to warm up and enjoy a bite of local fare. Too cold to walk the entire Trail? Head for the warmer indoor sites - go inside Paul Revere's house in the North End, join a free tour of the USS Constitution, aka "Old Ironsides," in Charlestown, or explore history in the Old State House and Old South Meeting House museums in downtown Boston. Even better - visit Faneuil Hall Marketplace, right on the Freedom Trail. You'll find plenty of great shopping (and maybe some great January sales). Festive holiday decorations usually remain in place and provide good cheer until the end of the month. Start your evening with dinner in a Theatre District restaurant, and check out more Boston nightlife afterwards. 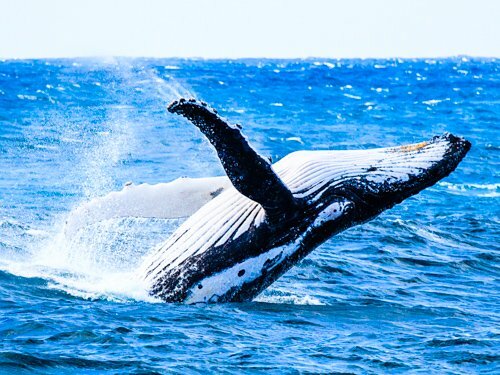 Did you know that most people book cruises during January? Must be the dismal weather. 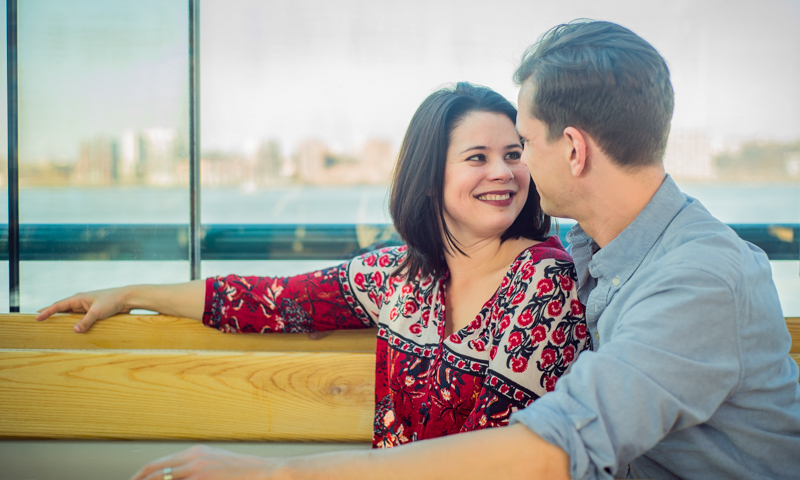 Leaving for cruises from Boston from the Black Falcon Cruise Terminal couldn't be easier, and you can pick from exciting itineraries. Cruise from Boston to . 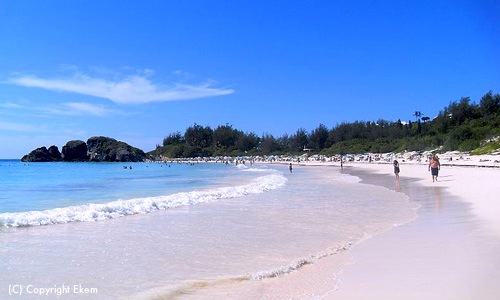 . . Bermuda . . . or Europe . . . or the Caribbean. Right after a snowfall, the city can be at its most beautiful. Bundle up and go out with your camera to photograph the seasonal beauty. Check out Boston weather in January to know what to expect (hint: not every January day is cold!). Q. What are good things to do in Boston in January when weather gets really, really miserable? You know . . . howling winds, sub-zero windchill, and lead-gray skies? A. Stay inside and feel miserable - no, wait! That's the wrong answer! The right one is to eat, drink, and be merry. The weather outside may still be lousy - but you'll no longer care. 1. Eat - Make reservations in one of the warm and inviting Boston Italian restaurants. 2. Drink - Participate in one of the Boston wine festival events underway this month - the Boston Wine Festival gets January off to an exciting start, and the annual Boston Wine Expo toward the end of the month gives you the chance to sample wines from the best wineries from around the world. 3. Be merry - Do Steps 1 and 2, and you'll feel quite merry. January can be the coldest month of the year, but visiting some of Boston's premier art galleries is an ideal way to mix exercise with culture! Boston's art galleries concentrate in 3 neighborhoods: Back Bay, Fort Point, and the South End. 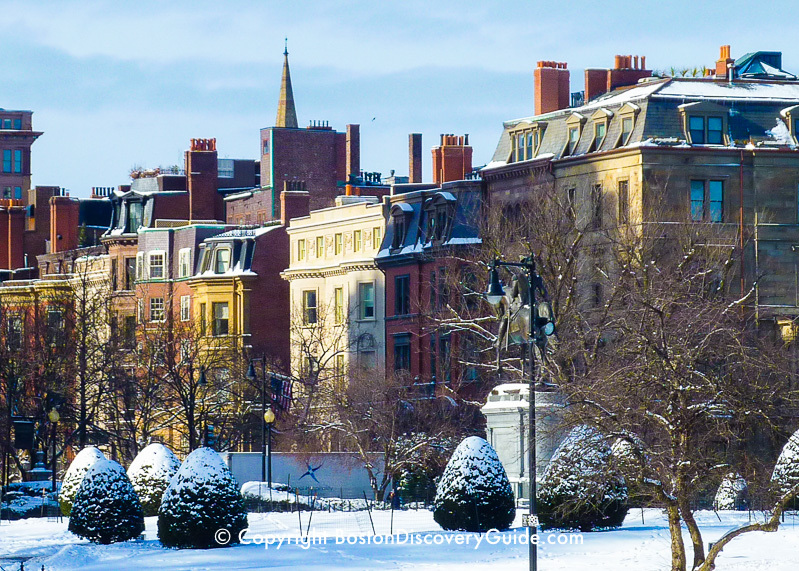 However, Back Bay also offers lots of boutiques for shopping the January sales as well as cozy cafes and coffee bars when you need to warm up - so start there.